Satya Sai Baba was born on 12 November, 1926. Satya Sai was one of the most influential spiritual teachers of India for nearly 60 years. Sathya Sai Baba's childhood name was Satyanarayana Raju. Satya Sai was born on November 23, 1926, in Puttaparthi village of Andhra Pradesh. There are innumerable followers not just in India but all over the world. After a prolonged illness on April 24, 2011, Baba took chirmasamdhi. 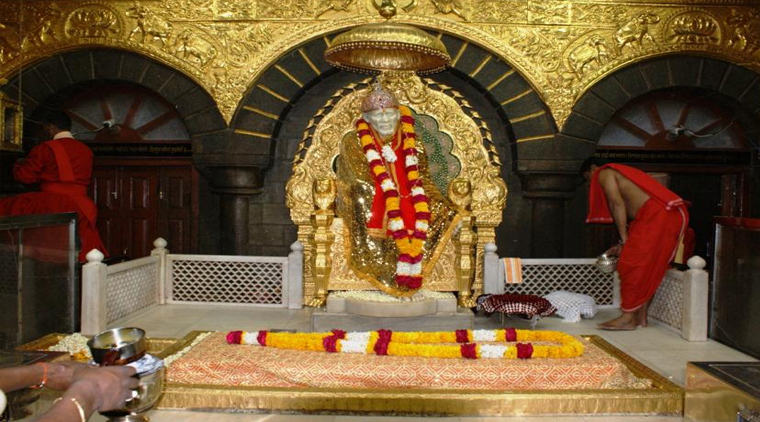 Baba is considered to be the incarnation of Sai Baba, a famous spiritual master, Shirdi. Puttaparthi sai baba temple is a small spiritual city of Anantapur district of Andhra Pradesh state, which is considered to be the sacred place of spiritual guru Satya Sai Baba, and this is why it is a famous pilgrim center among tourists. The city is situated on the banks of Chitravati river and is located at an altitude of 475 meters. History of Puttaparthi Nagar, Satya Sai revolves around Baba's birth and life. Earlier, Puttaparthi used to be a small village, which was known as Gollapalli, which means - Home of the Gwalos. Satyanarayana Raju was born on 23rd November 1926 in the house of Mr. Pedda Venkappa and Mrs. Eshwaramma. Due to many reflected incidents, many of his miraculous powers were discovered, so that people started worshiping him. People began to feel that it was Sai Baba's form and everyone started calling him Satya Sai Baba. Due to his deep faith in the people, he became a spiritual teacher. His teachings began to be believed in the whole world. His teachings used to talk about the principles of peace, love, truth, religion, and non-violence, which people used to follow. Presently this village is famous all over the world. Prashanti Nilayam was established in this village in 1950 and this ashram gave the whole village identity globally. In today's date, all amenities are available. There are airports, railway stations, well-equipped hospitals and a large number of education centers. A mosque is located near Puttaparthi, a Hanuman temple and Satyabhama temple situated here, which was built by Satya Sai Baba's grandfather, late Kondema Raju. Satyabhama Temple located here has recently been built, which Satya Sai Baba's elder brother Seshma Raju has built on the way to go to Bangalore. Here is another famous tourist spot, Vishing tree situated on the banks of Chitravati river. The meditation tree here is situated on a hill near University, which is quite famous. Educational and cultural institutions in Puttaparthi also hold a very important place. A taxi runs for tourists visiting this small town. 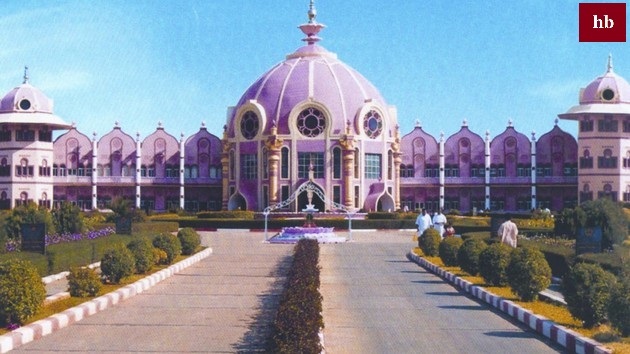 The journey of Puttaparthi is blessed only by seeing the ashram of the place there. Puttaparthi Airport, 4 km from the city which is known as Sri Satya Sai Airport. This is a domestic airport. This airport is loaded for major cities like Chennai and Mumbai. 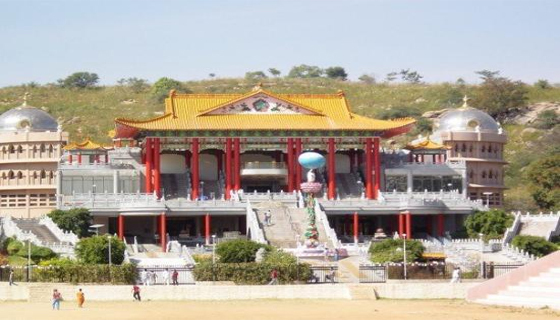 The nearest international airport here is located in Bangalore, which is 131 km from Puttaparthi. Is at a distance of. The Andhra Pradesh State Road Transport Corporation (APSRTC) operates many bus services from Puttaparthi bus station. People visit Puttapathi from all over India and from the world also, and most State transport services also started buses to direct Puttaparthi. Puttaparthi is connected by road to the district Anantapur (84 km), Hyderabad, (441 km), Bangalore(154 km) and all parts of Anantapur district. Puttaparthi has a railway station named as Sri Satya Sai Prasanthi Nilayam Railway Station which started functioning from 23 November 2000, which was Baba's 75th birth anniversary. It is about 8 km from the Puttaparthi ashram. Sri Satya Sai Prasanthi Nilayam Railway Station falls under the Bangalore Division of the South Western Railway and lies on the Bangalore-Guntakal railway line. It is easy to reach the Puttaparthi Temple from the railway station in 20-25 mins, through various modes of transport like cabs, auto rickshaws and APSRTC buses. Puttaparthi is connected directly by train to many big cities of india just like Bangalore, Chennai, Hyderabad, Coimbatore, Mumbai, New Delhi, and Kolkata. The best time to visit Puttaparthi is from September to February. From March to June there is a lot of heat, which is not pleasant. People who want to join the peace of mind with spirituality and religion can come here. The talk is related to the childhood of Sai. When he used to study in school. One day his teacher made him stand on a bench without any reason. Satya Sai quietly stood on the bench for hours and when the class started to rise from the chair after the class ended, she could not rise. They stuck to the chair. Sai's miracle helped the teacher to realize his mistake. At the same time, when Satya Sai baba Temple , leaving the house and became absorbed in devotion, many people questioned him. Once, the elderly elders of the village started challenging him. The day was Thursday when people arrived in Satya's cottage and said; prove that you are the biggest devotee of Sai. And then Satya Sai just asked for flowers and scattered on the ground only when people saw flowers spread on the ground and there was written in Telugu as "Sai". With time and time, Sai became aware of the world as a result of miracles and selfless service. Time passed and Satya Sai worshiped to go. Satya Sai Baba is also called Baba of Miracles. The most popular miracle of Satya Sai was to demolish the devotees. Baba had claimed that he came from miraculous miracles in his empty hands. Baba used to raise his hand only in a hall full of devotees and he started coming out of his hands. Satya Sai Baba Puttaparthi temple used to do another miracle frequently. This was the reason for creating a chain on the idol of Shirdi's Saibaba. The fate of the devotees to cast chains the sudden act of being in the chain in hand He used to do these acts often when he used to clean the statue of Sai Baba of Shirdi. Suddenly, the gold chain was seen on the statue. These miracles of Sai went on increasing the reverence of the devotees. The eyes of the standing in front of the devotees were torn off. What is this miracle? Satya Sai Baba used to do another miracle frequently. This was the reason for creating a chain on the idol of Shirdi's Saibaba. The fate of the devotees to cast chains the sudden act of being in the chain in hand He used to do these acts often when he used to clean the statue of Sai Baba of Shirdi. Satya Sai Baba Death Satya Sai Baba died on April 24, 2011, at 7:40 pm on Sunday morning. They were admitted to the hospital for the past one month. In the morning, his family reached the hospital for his philosophy. First local TV channels reported that Satya Sai has passed away. Shortly after, his death was officially confirmed.